Mark your calendar for the 12th Annual Up On The Roof event, taking place on the rooftop of the Chestnut Street Garage on Saturday, June 7, 2014, from 7–11pm. Enjoy a beautiful evening under the stars! Limoncello Ristorante & Caterers, will cater the event serving an array of appetizers and pasta dishes, along with stuffed pork loin at the carving station. Complimentary bar will feature beer, wine, and the always-popular Rooftop Martini. Live entertainment by The Blue Sky Band. 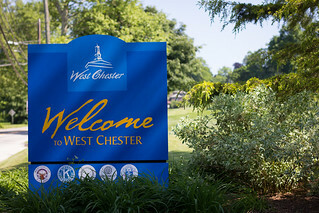 For more information visit Downtownwestchester.com or click here.